To say that Contagion has a good cast is an understatement. If every one of the actors in Contagion had demanded and received their normal asking price, this movie would be among the most expensive films ever made. Matt Damon alone commands near $10-15 million a film when he doesn’t get paid out of the profits, which would make up nearly one-third of this film’s total budget. People just want to work with Director Steven Soderbergh, and the result is a film like Contagion, in which even the smaller roles are filled with known stars. And it’s a good thing too. 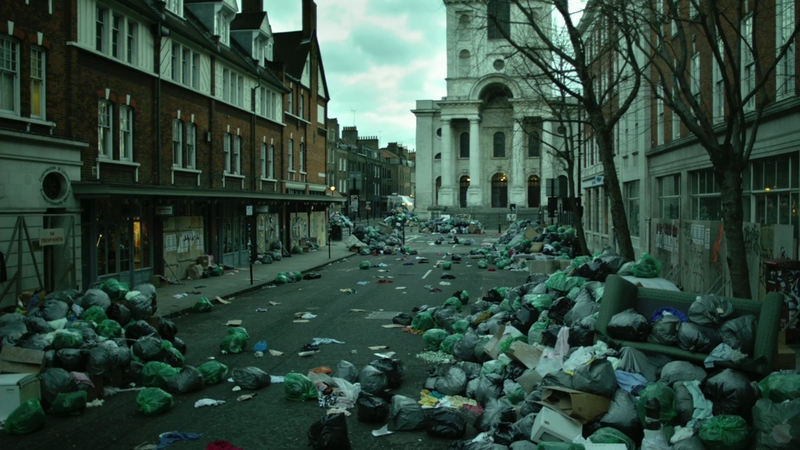 Contagion is a sprawling movie that occurs in several locations around the world, and follows multiple plot lines that are related, but don’t necessarily intersect. There are dozens of characters in this film, and while some of them have roles that are vital to the plot, they may get only minutes of screen time. Having known stars helps make those scenes memorable. With so many stars, you can also expect powerful performances, which again works for Contagion, because the narrative focuses on the personal toll that an epidemic would take rather than a more disaster-themed fare that it easily could have been. It would be easy to turn this into a big budget disaster movie with widespread appeal, but that isn’t what Soderbergh wanted to do. Instead, he offers a film that is far more personal—and far more analytical as well. Contagion can best be described as subtle and interesting, and you could maybe even toss in the buzz words “intriguing” and “fascinating.” All of those are true and well deserved, but it is also slightly underwhelming. It is still a good movie—even a great one offering an original and compelling look at a world on the brink of a cataclysm, but the emotional toll is seen and told rather than felt. There are several storylines, and some are better than others. They are all interesting in their own ways, and they all help paint an incredible and complete picture, but the flipside is that there are so many plots that together they dilute the emotional resonance of each individual. Still, overlooking the sometimes sterile nature of the film (pun intended), Contagion is a good movie that will certainly be mentioned again come awards season. T.S. Eliot famously wrote “This is how the world ends: Not with a bang but a whimper.” In Contagion, that whimper has a name: MEV 1. When mother and wife Beth Emhoff (Gwyneth Paltrow) returns from a business trip to China, she begins to show symptoms of a flu-like illness, which her son contracts. When the illness becomes serious, her husband Mitch (Matt Damon) rushes her to the hospital. She dies suddenly, and becomes the first known patient of a disease that will soon kill a sizable portion of the planet. Once the Center for Disease Control and World Health Organization become involved, they begin to track the virus in order to understand it, and eventually stop it. The CDC’s Dr. Ellis Cheever (Laurence Fishburne) sends an expert, Dr. Erin Mears (Kate Winslet), into the field to help try and contain it, while the WHO sends Dr. Leonora Orantes (Marion Cotillard) to try to find where it originated. It isn’t long before the world realizes that the this disease is an epidemic, similar to but more devastating than the Influenza pandemic of 1918 that killed 1-percent of the globe, or roughly 20-million people. As the researchers race to find a vaccine, civilization begins to break down. Contagion is essentially broken into three main plot lines, each with their own themes. The most in-depth of the three follows the response of officials who are trying to battle the contagion. This plot line is heavily technical at times and laden with medical terminology, but also features the most characters and scope. The second plot line follows a freelance reporter named Alan Krumwiede (Jude Law) who teeters between prophet and charlatan. The third focuses on Emhoff who has just lost his wife and stepson, but refuses to let anything happen to his daughter, no matter the costs. On their own, each of the plots could carry a film. Together they paint a huge picture that covers numerous aspects of the contagion, for better and worse. The plus side to this is that Contagion offers a unique look at a frightening possible reality. Each character offers a glimpse at the total, and the entire film paints an intriguing picture. The downside is that you never really feel any attachment to the characters—with the possible exception of Damon’s Emhoff. 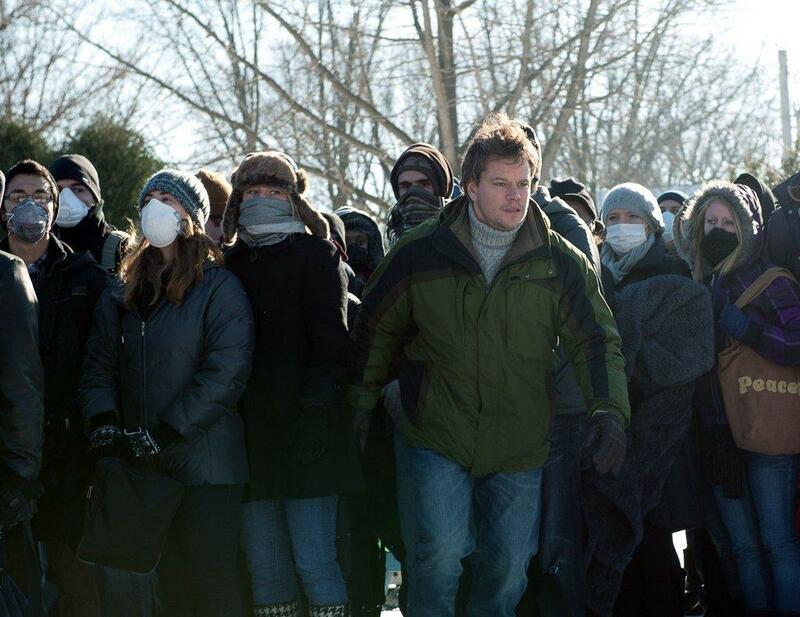 Contagion works as a character study to a degree. The only problem is that there are too many characters to ever have much more than a passing investment in their fates. Half the characters could have equaled twice the emotion, but that isn’t the movie Soderbergh wanted to make. It is a great movie, just not an emotionally charged one. Instead, Contagion is an introspective look at a handful of key characters in the midst of a world in crisis. It feels a bit like several short stories set in the same world. The action is light and the tension is a bit watered down, but despite all that Soderbergh and an impressive cast make Contagion memorable. Contagion is so filled with stars that it borders on ridiculous. If every star in this film donated every penny they will make in Hollywood for the rest of their lives, their collective worth could cure death. There is a ton of talent in this film, and many of the stars are among the most sought after in the industry. Even the smaller roles are filled with actors that are recognizable. Bryan Cranston appears for maybe two scenes. Enrico Colantoni is around for three or four. Even the minor role of a CDC lab assistant is played by Demitri Martin. Some of these smaller roles are vital and are well served by having noted actors—Elliot Gould appears as a research doctor who makes a huge breakthrough with the virus, then disappears for the rest of the film. There are so many stars that this movie makes playing “Six Degrees of Kevin Bacon” no fun because it is too easy. Having star power helps hide the lack of character development. When you have someone like Marion Cotillard in the role of a WHO employee, you don’t need to have any back story or history, and it still works. If it were an unknown actor in the role, the part would have been somewhat pointless, but she makes it interesting, and the same is true for many of the characters. Contagion does a good job of avoiding the trap of focusing too much on the disease, making it more about the characters, which is what the cast and crew wanted to do. Contagion is a good movie with great individual parts. Each of the several stories is well done; they are well acted and directed, which is a credit to Soderbergh. But having several great parts doesn’t automatically equal a great movie. There are so many moving parts that it becomes more cerebral than emotional. Contagion will win accolades and possibly awards—and they will be well deserved—but it may not make much of a connection with audiences who are looking for something more action-packed, or more drama-filled. 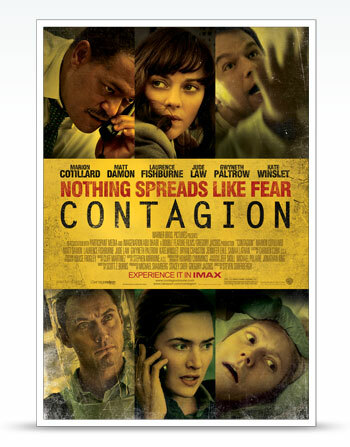 Instead, Contagion is a quieter type of movie. It is understated and filled with great moments of real human drama, laced with some scary real-life possibilites. If anything, a real situation like the one in the film might actually be much worse. Contagion is so well done that it is hard to take your eyes off of it. You could even call it “powerful” and mean it. There are maybe one or two plot threads too many to really love Contagion, but it is tough to dislike it.